Green tea – Green tea is gradually popular tea in India due to its good health benefits. It is originated in China and is prepared from the leaves of Camellia sinensis. The manufacture of the green tea has spread to several countries in Asia including India. There are many varieties of green tea but they differ which is based on the growing conditions, the procedure of production, and the time of harvest. Control blood pressure – Green tea controls the blood pressure which lowers the risk of high blood pressure and heart diseases. Prevent cancer – It contains antioxidants property which lowers the several types of cancers such as lung, skin, breast, liver, colon, and pancreas as per research. Reduce cholesterol – Green tea is beneficial in decrease the cholesterol level (LDL bad cholesterol) in the body which also lowers the risk of heart attack and strokes. Weight loss – It also helpful in burning the fat and control the weight through exercise as per research. It also increases the metabolic rate and burning the fat in less time as per research. If you control or reduce the weight then daily take green tea. Improve health – Green tea contains bioactive compounds which have several positive effects on health. Reduce free radicals – It decreases the development of free radicals in the body, protecting the cells and molecules. These free radicals causes in aging in humans. Improve brain function – It has amino acid L-theanine which is helpful in improve the working of brain. L-theanine raises the activity of the inhibitory neurotransmitter GABA, which has anti-anxiety effects. It also raises dopamine and the production of alpha waves in the brain. Prevent Alzheimer’s and Parkinson’s disease – The bioactive compounds are present in green tea which have several positive effects on neurons and lower the risk of Alzheimer’s and Parkinson’s. These are the two most common neurodegenerative disorders. Control blood sugar – It controls sugar level in blood and lower the risk of increase sugar level in blood and diabetes. Dental health – The catechins are present in green tea prevent the development of bacteria and viruses which decreases the infections and improve dental health. It also reduces caries and bad breath. Prevent Type II Diabetes – As we know we discuss that it decreases the sugar level in blood and also reduce the risk of type II diabetes for a long time. Healthy heart – It decreases the LDL bad cholesterol, control sugar level in blood and maintain blood pressure which decreases the risk of heart diseases. Next Post What is the importance of family planning? I always drink green tea. Much better for you! I am a big advocate of drinking green tea. Great post. I loved this post. I also love green tea. The health benefits are just a bonus for me. Thank you for this health tip. I always enjoy drinking some green tea! 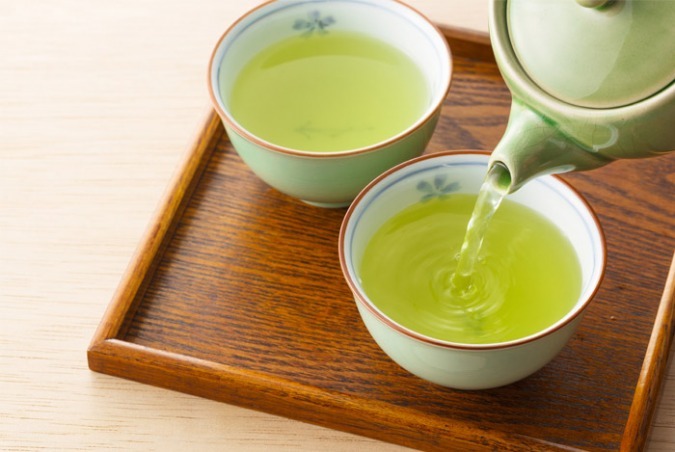 Green tea is one of the food items that can rarely cause any health conditions. Every culture has its own kind of green tea. But one thing is common. Every type appears to be beneficial. Good going with this report! Green tea is a wonderful food! Good post! You’re welcome, thanks for visiting https://davidsway.blog ! Nice to know there is more to green tea than just antioxidants that you see advertised. I have switched from store bought to packet green tea that I boil water for, and I will never switch back. The taste, smell, and benefits are far better this way. Learn a lot from your post:) I am a big friend of green tea!